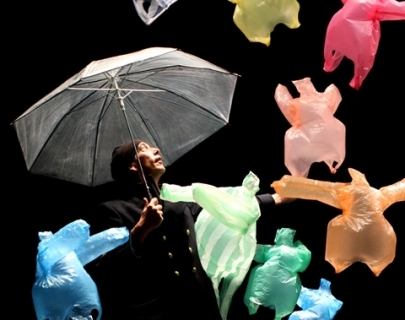 Watch in wonder as ordinary plastic bags are magically brought to life by a mysterious ballet master. Borne aloft on currents of air, see them transformed into heavenly dancers capable of astonishing performances. A pirouetting solo is followed by a tender and comic pas de deux until a full corps de ballet fills the air, joyously swirling and twirling to the beautiful music of Debussy. An experience of true wonder guaranteed to charm the young and the young-at-heart. Prepare to be enchanted by a company of prima ballerinas…made entirely from a handful of plastic bags! 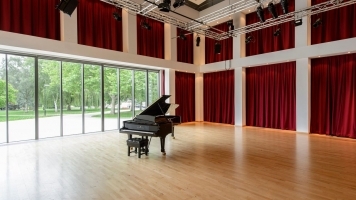 Buy a ticket for any other event at Warwick Arts Centre on Sat 11 and Sun 12 Oct and get a ticket to any performance of L’après-midi d’un Foehn – Version 1 for only £5. Call Box Office on 024 7652 4524 to book. Do you have any unloved plastic bags lying around at home? Come to our free, drop-in workshop in the theatre bar area before or after the performance to turn them into something really special.